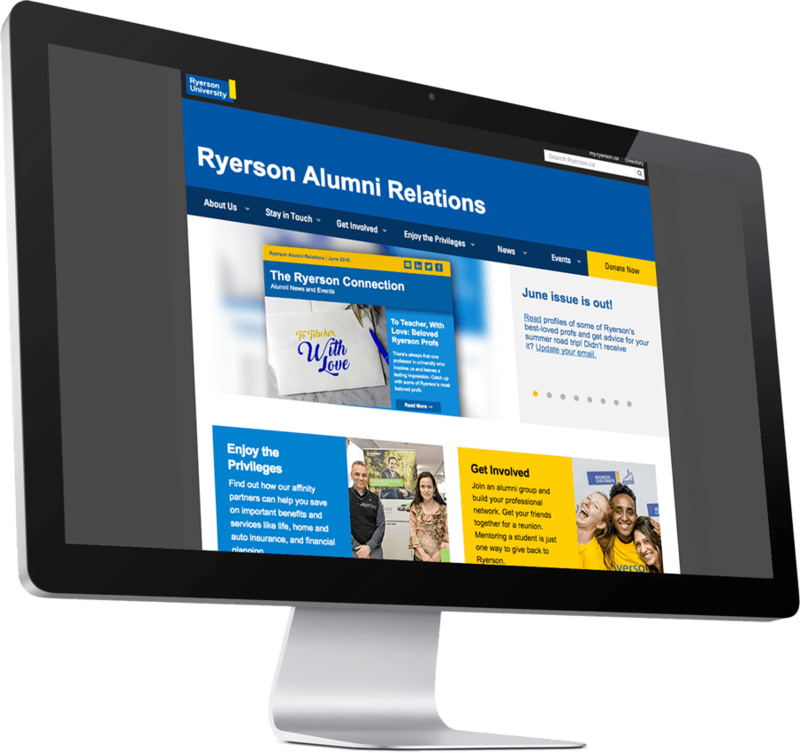 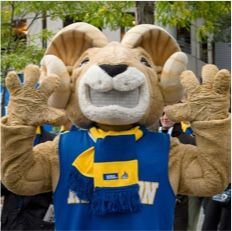 Ryerson’s Alumni Relations is the official alumni network for Ryerson University. 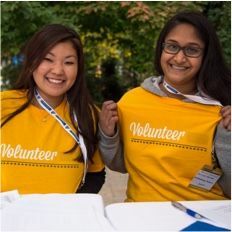 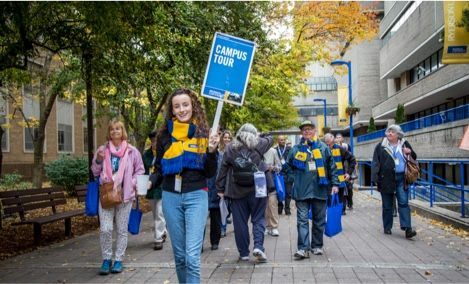 They keep over 170,000 (and growing) alumni connected across the globe, providing support, community and a strong academic network to the graduates of Ryerson. 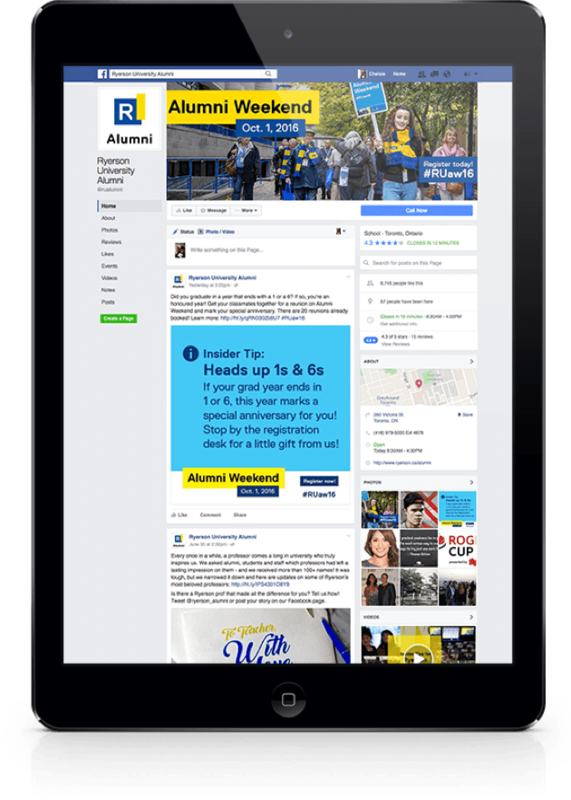 Propeller is Alumni Relation’s go-to for all things marketing. 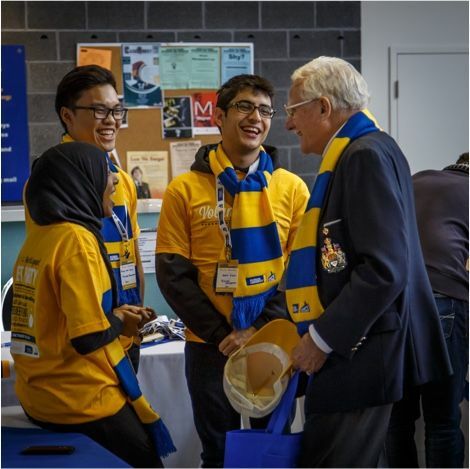 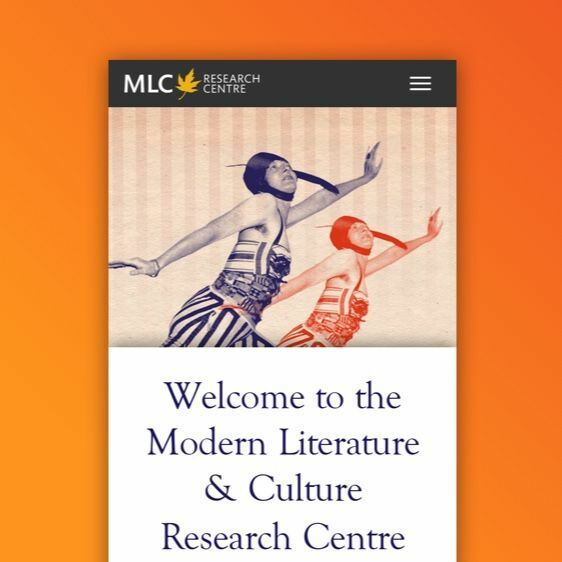 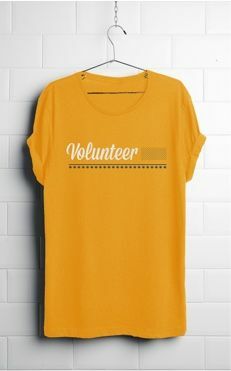 For the last 3 years we have supported the network providing everything from websites, e-newsletters and annual reports, to festival promotion, invitations and even a T-shirt or two. 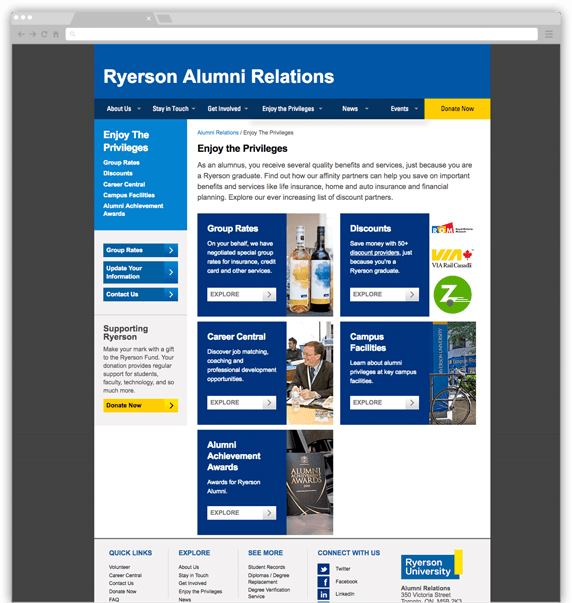 With the help of Propeller, the Alumni Relations website hit their highest traffic ever this past year. 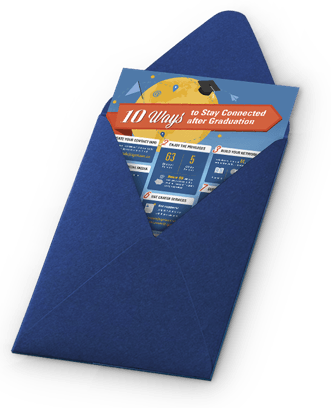 It promotes opportunities for alumni to reconnect and take advantage of a worldwide network. 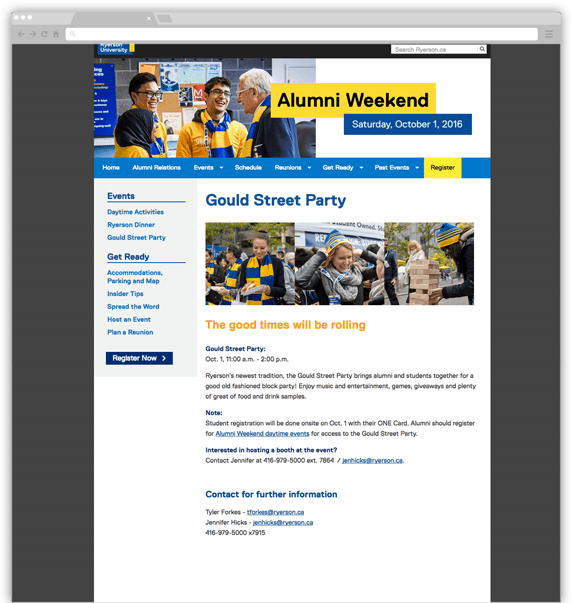 The site is also the go-to for a slew of Alumni events that take place throughout the year. 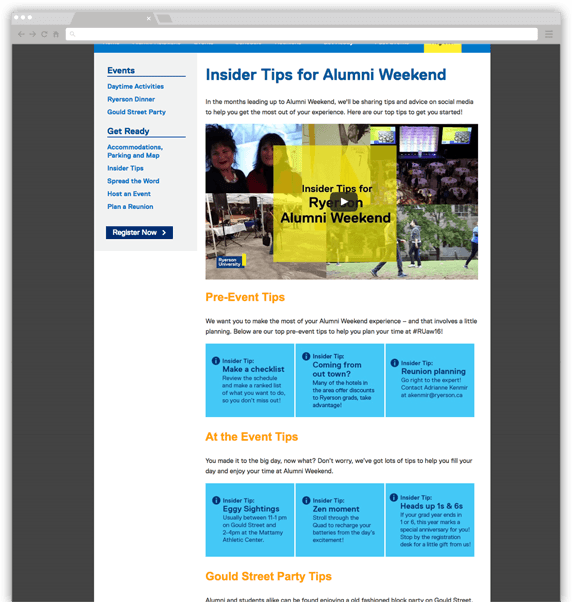 Bi-monthly newsletters are sent out to over 50,000 Alumni keeping them in the loop on what’s happening in their network. 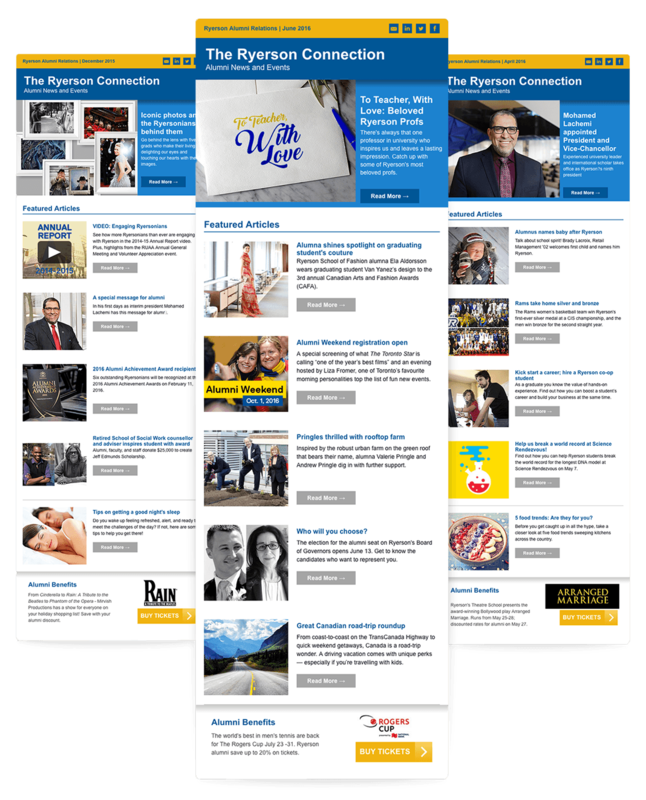 Subscriber numbers saw a 50% increase since Propeller joined the cause. 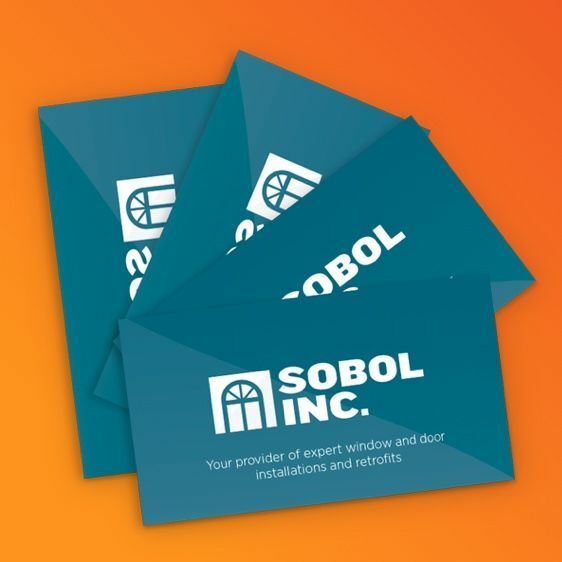 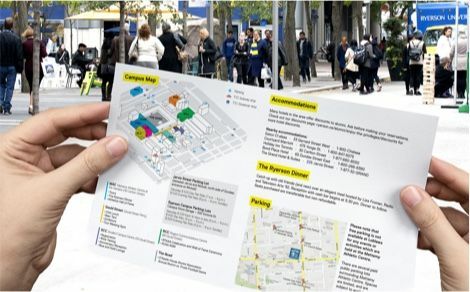 We go beyond just the digital, providing any and all printed materials the network needs throughout the year. 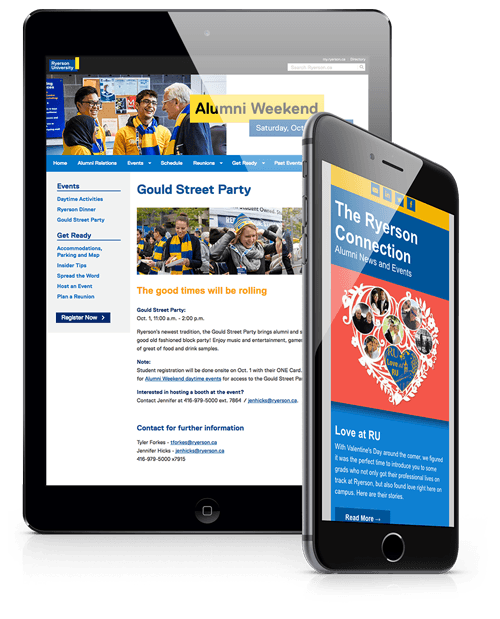 Every year Alumni Relations throws their Alumni Weekend event. 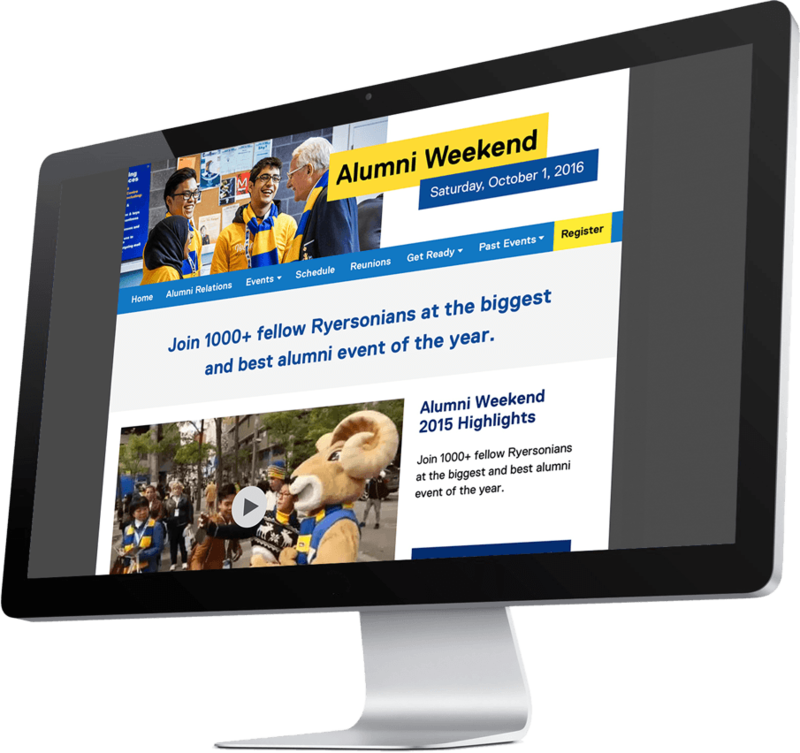 A massive 2 day celebration for all Ryerson alumni including class reunions, a gala dinner, special sporting events, and an outdoor street party. 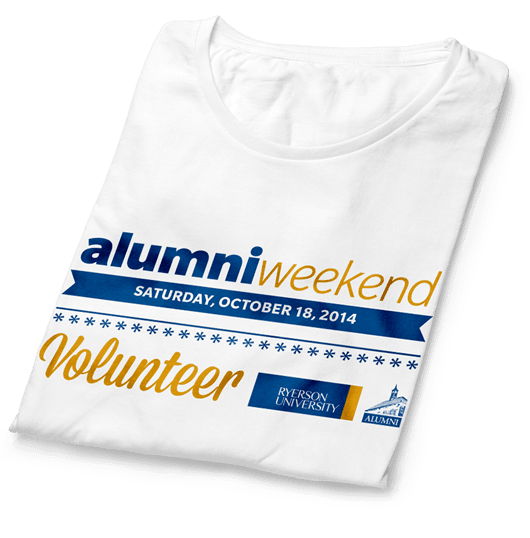 Propeller has been powering the promotion for the last 3 Alumni Weekends, and the event has seen a 47% growth in attendance since 2014. 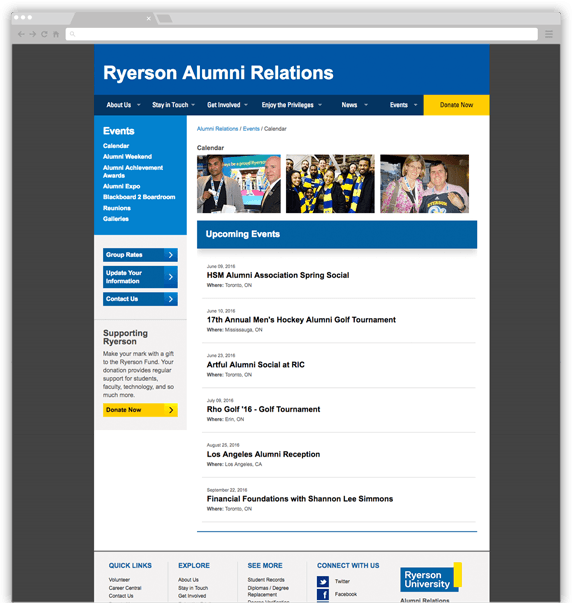 Social media is a key way that Alumni Relations keeps in touch with alumni. 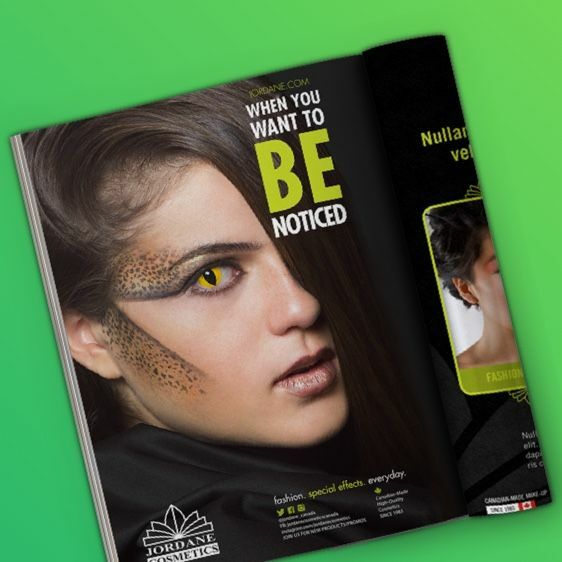 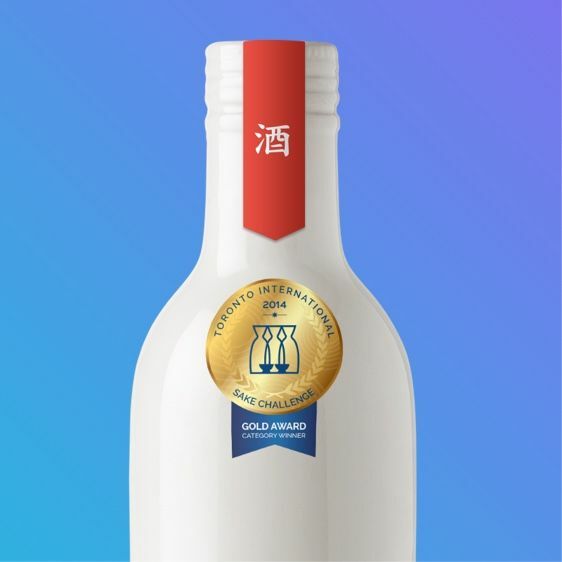 Propeller produces graphics that are used to promote events, advice and perks across various channels — always consistent with their brand.